Air Spray is pleased to introduce the BAE 146 "Next Generation" Airtanker to our fleet. 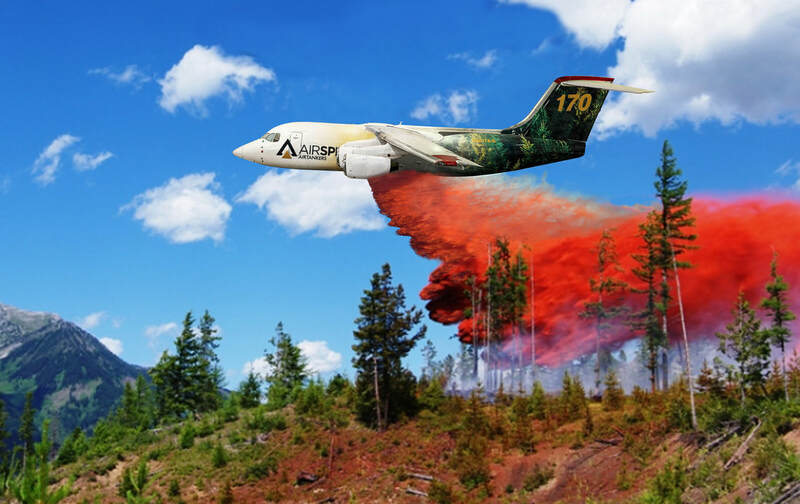 The BAE 146 is a four engine, jet powered large capacity or "heavy" air tanker ideal for the aerial control of wild fires. Air Spray is currently owns 5 BAE 146 aircraft for conversion to air tanker aircraft.